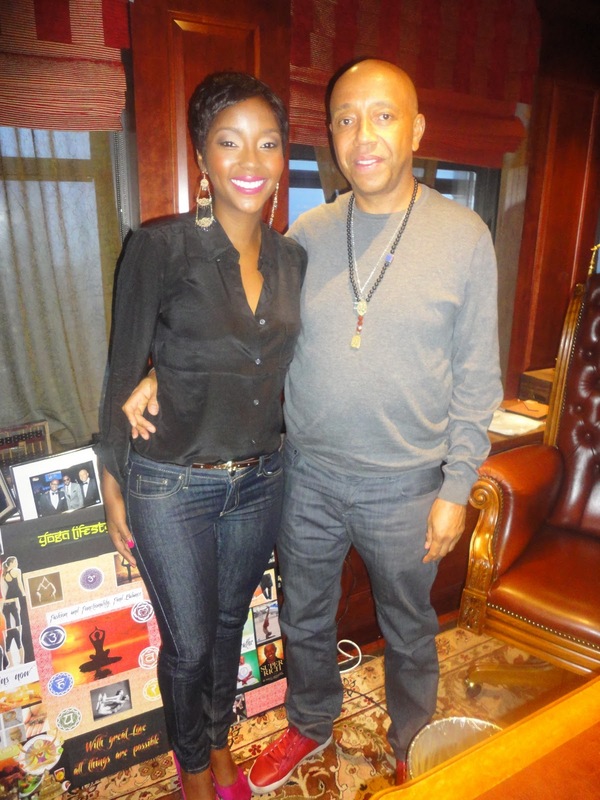 What happened when I met Russell Simmons..
Today (Nov 29th) was my lucky day! Not only because it was it my sister's b'day but I also got to meet music mogul Russell Simmons. 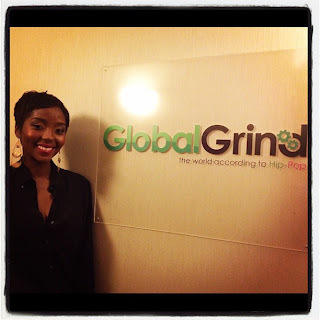 A few weeks ago I wrote a post about being the winner of the Global Grind celebrity video correspondent competition, you can check it out here. Just to recap, I was selected out of over 5,000 entries to be the winner, so I was pretty stoked about completing part of my prize package which was meeting Mr. Simmons. I walked into the mid-town Manhattan offices full of nerves and excitement. I had no idea what I was in store for and I just relished the idea that I would be meeting the mogul in a matter of minutes! Prior to meeting with Mr. Simmons I chatted briefly with Michael Skolnik who is co-president of Global Grind. I was immediately intrigued by the fact that Micheal speaks Zulu. I was almost in state of disbeleif when he initially told me, so much so that I actually spoke to him in the little Zulu I knew to see what his reaction would be. When Michael replied back "yebo" I damn near passed out. Btw, Michael is the director of Without the King which is one of my favorite movies about the King Swaziland. If you haven't seen the documentary, I urge you to run not walk and please make sure you check it out. I met a few of the Global Grind staff and I shook hands with a couple of the members of the team. Then it was time to meet Russell. I have to be honest, I was NERVOUS. I walked into his office and I felt like I was going to pass out. Mr. Simmons immediately was so nice and friendly that it made it easy to chat with them. We talked about a number of things ranging from Occupy Wall Street to my upbringing and I capped it off by thanking him for this opportunity. His office was absolutely gorgeous and I almost didnt want to leave. It was a brief but short meeting but one that I will remember for a lifetime. I will most likely be doing my first assignment at the top of the year (when I return back from South Africa) so be sure to check out Global Grind or my blog for deets on my coverage. I cant wait, wish me luck!! LOVE LOVE LOVE LOVE THIS!!! I am so proud of you! Congrads Sister! Keep Africa shining. The future is in your hands. God Bless.